Jussie Smollett's family said Thursday that the attack on the black and gay "Empire" actor in downtown Chicago this week was a "hate crime" and they pushed back against any suggestion that he was anything but honest with the police. 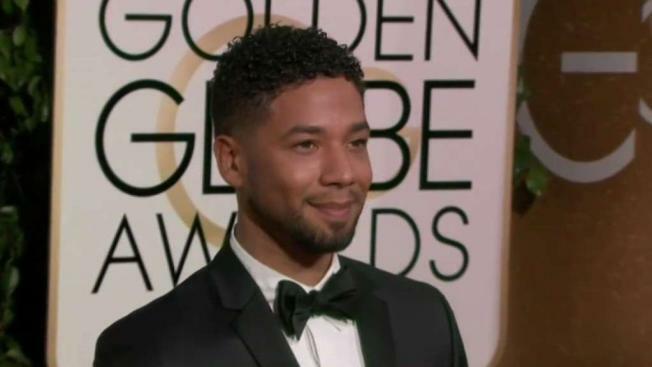 Smollett, who plays the gay character Jamal Lyon on the hit Fox television show, hasn't spoken publicly about the early Tuesday attack, though his representative said Wednesday that Smollett was recovering at home. Smollett's family issued a statement through a spokesman Thursday saying they believe he was the victim of an unprovoked "racial and homophobic hate crime" and that he has been forthright with the police, who are still searching for surveillance video of the attack. They thanked the public "for their prayers" and said they are "so grateful that God saw him through this cowardly attack alive." Detectives have recovered more surveillance footage of Smollett walking home from a Subway restaurant that morning, including video of him arriving at his apartment building with a rope around his neck, said police spokesman Anthony Guglielmi. Smollett told police that two masked men jumped him on his walk home at around 2 a.m. Tuesday. He said they punched him, subjected him to racist and homophobic insults, threw an "unknown chemical substance" on him and put a thin rope around his neck before fleeing. Smollett's manager called police about 40 minutes after he got home, Guglielmi said. When officers arrived, the actor had cuts and scrapes on his face and the rope around his neck. Smollett later went to a hospital for treatment.